Like any good vegan, I love hummus. For years, I have been making different kinds of hummus to have on hand. It is something that always has to be in my refrigerator. A lot of times, I like to add different veggies to it, to make it more flavorful or colorful, but also to add nutrients. I also like spicy things in it as well, like plenty of chipotle, or cayenne pepper. Savory hummus is a staple. 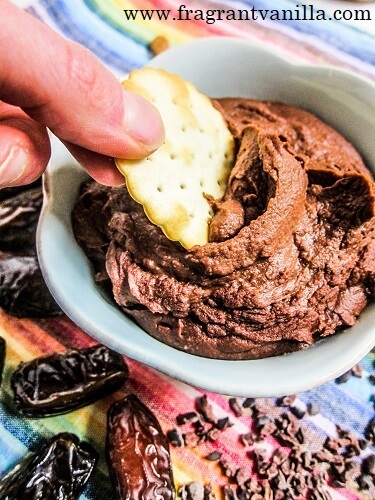 But recently I have been hearing about dessert hummus being all the rage. Funny, because I was making some a few years back before it was a thing. I made peanut butter cookie dough hummus, pumpkin pie hummus and strawberry hummus among other things. I can understand why people love it. 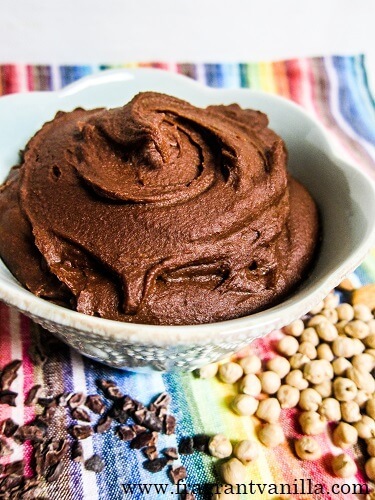 I mean you get a delicious dessert that is somewhat healthy and packs protein thanks to the chickpeas which are mild and can be transformed into whatever flavor you want. When I first made it I was trying to make a sweet snack that was healthy that had substance and wasn't just empty calories. If you are of a similar mindset, read on. 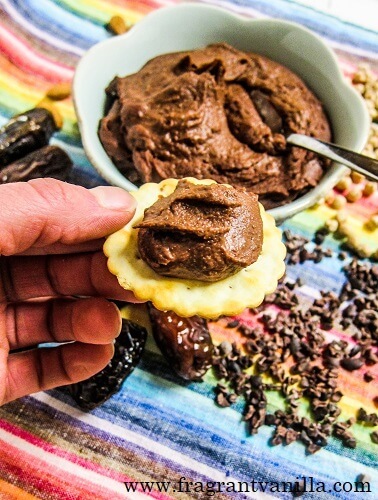 I have never made a chocolate dessert hummus before, so I thought why not now? Maybe then people can make some of their own instead of buying it for a high cost, and this one does not contain any refined sugar. In fact, it is fruit sweetened thanks to gooey and delicious medjool dates! They are my all time favorite thing when it comes to sweetening desserts, and they are about as natural as you can get too since all they are is dried and not processed. This recipe actually has only 5 ingredients excluding sea salt and water. So it is simple to make with things from your pantry. Or, that is what I made it with. The things I have on hand. I would much rather use what I have, then have to make a trip to the store and spend more money. All it contains are chickpeas, dates, cacao powder, sea salt, vanilla, and almond butter plus enough water to blend it smooth. It is that simple! Not only that, it is so good! 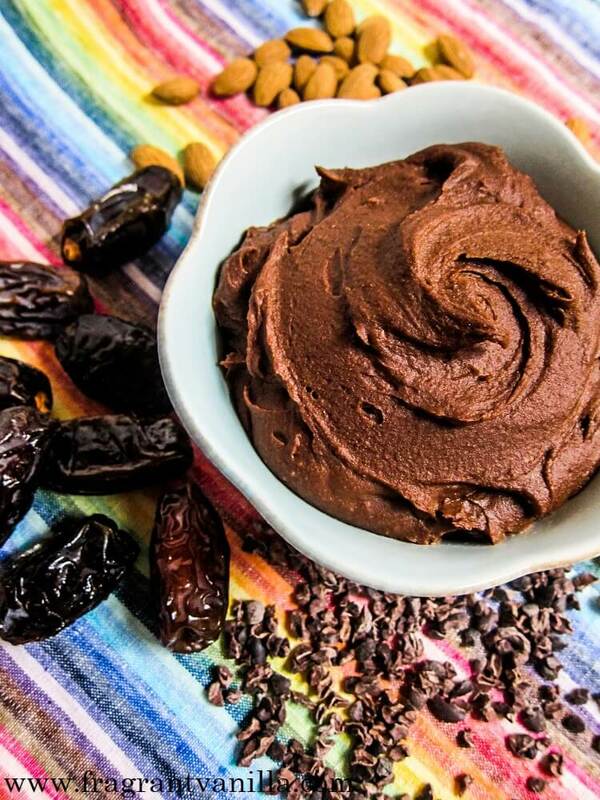 I was just going to call it chocolate hummus, but it reminded me of chocolate cake batter. One of the all time most delicious things! The texture and everything were similar. So guess what? 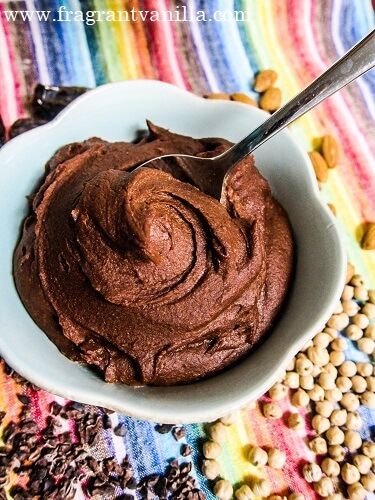 You can make a batch of this, and feel like you are eating cake batter! And it isn't just a pile of sugar, it is a substantial snack when paired with fruit, toast, or crackers! So chocolate lovers, this one is for you! I hope you do try it, and if you make it feel free to let me know what you think! *Note: if you prefer sweeter, you can also add a little maple syrup too.